Powerful technical analysis and data downloading software for Microsoft Excel. AnalyzerXL Package includes the following products: AnalyzerXL, DownloaderXL, BulkQuotesXL, RTQuotesXL, OptionsXL and PortfolioXL. AnalyzerXL is a library of 165 technical analysis functions, indicators and experts. You can automatically build charts for functions with numeric outputs, create and manage macros. Wizard greatly simplifies the procedure of calculation and improves the speed of building trading systems. AnalyzerXL's integration with Excel provides broad opportunities. With knowledge of VBA, traders can easily develop custom indicators and experts in a fraction of the time. DownloaderXL downloads free historical stock, index and mutual fund data into Microsoft Excel spreadsheets from Yahoo Finance. Historical data goes back at least 15 years and is available for exchanges of USA, Canada, UK, Germany, France, Italy, Australia, New Zealand, India and more countries. BulkQuotesXL downloads free historical end-of-day data for stocks, indexes, dividends and mutual funds from Yahoo Finance and free historical end-of-day data for financial futures, commodity futures and indexes from Pifin. It enables you to quickly construct and manage powerful, multi-tickered analytical projects. You can choose several templates to download data and export it to the world-known formats, build charts and execute your own macros. Technical analysis functions can be automatically calculated. RTQuotesXL downloads free 15-minutes delayed and fee-based real-time quotes for stocks, indexes, options, mutual funds and other securities from Yahoo Finance. Data is available for more than 50 markets worldwide. RTQuotesXL can be used for real-time charting, real-time technical analysis and monitoring current market situation. 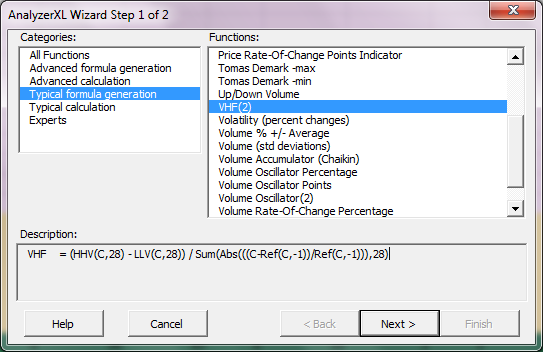 OptionsXL is an option chains and LEAPS series downloader for Microsoft Excel. PortfolioXL is a portfolio tracking add-in for Microsoft Excel.